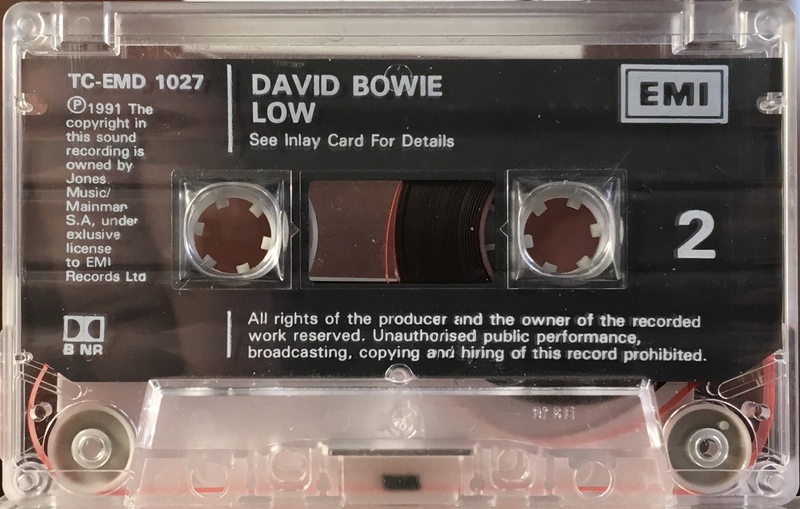 Low: UK; EMI; TCEMD 1027; 1991. 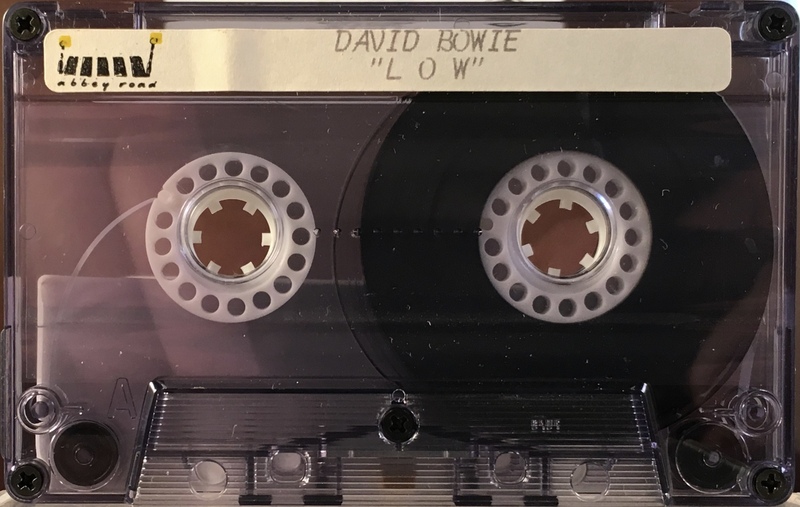 EMI cassette, stock issue. Some cases have stickers. 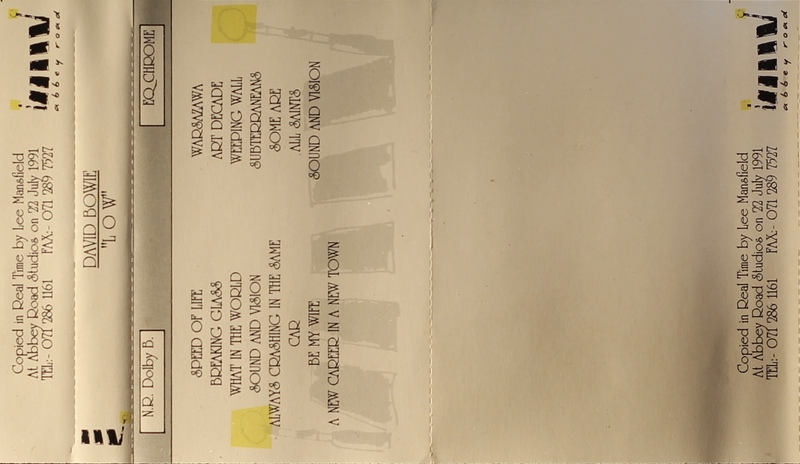 The track sequence has been slightly adjusted from the LP format so that the bonus tracks ‘Some Are’, ‘All Saints’ and a Sound And Vision remix have been added to the end of Side 2. 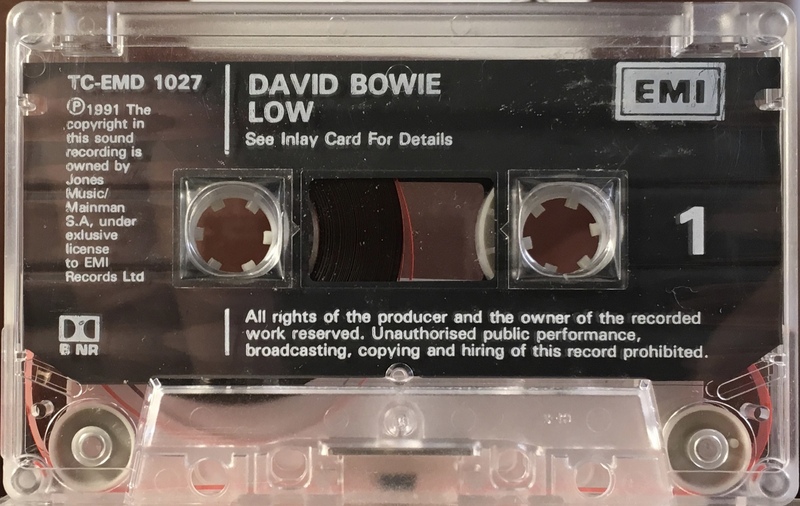 LOW; EMI reference tape ; no catalogue number – Abbey Road Studios.